Well, these kids sure did back in 2010 and every year back to 2005 - we've dug out some photos and if your children are now teenagers, we might have taken their photo either at school, toddler group or church event! 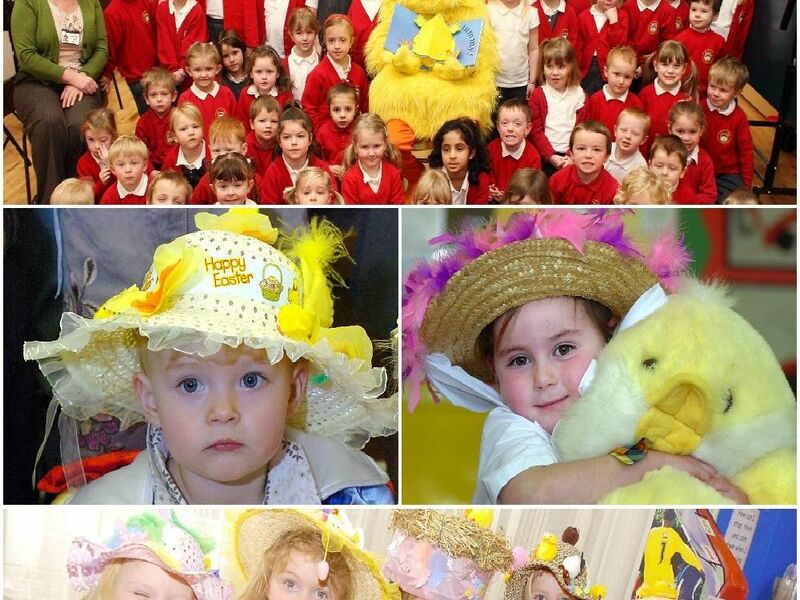 Easter bonnet parade at Lee Brigg Infants school. Looking back at the photographer is Courtney-Jade Pape. Bradley Westwood-Welsh, Kennedy Nuttall, Sam Denison and Keenan Mumba, who all played percussion during the easter bonnet parade. Erin Hodgkiss with a giant fluffy chick enjoying the Easter bonnet parade.